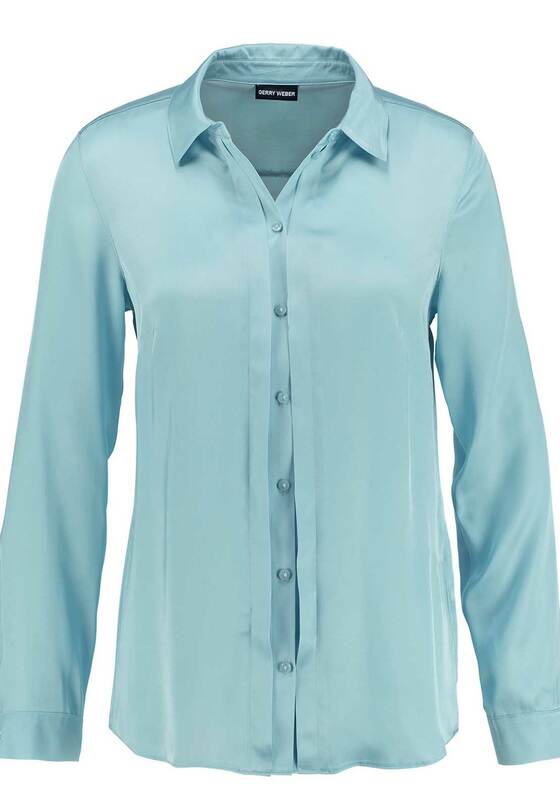 Presented in a beautiful pastel blue shade, this long sleeve blouse would look great worn with a navy pencil skirt or trousers to create a smart office look. 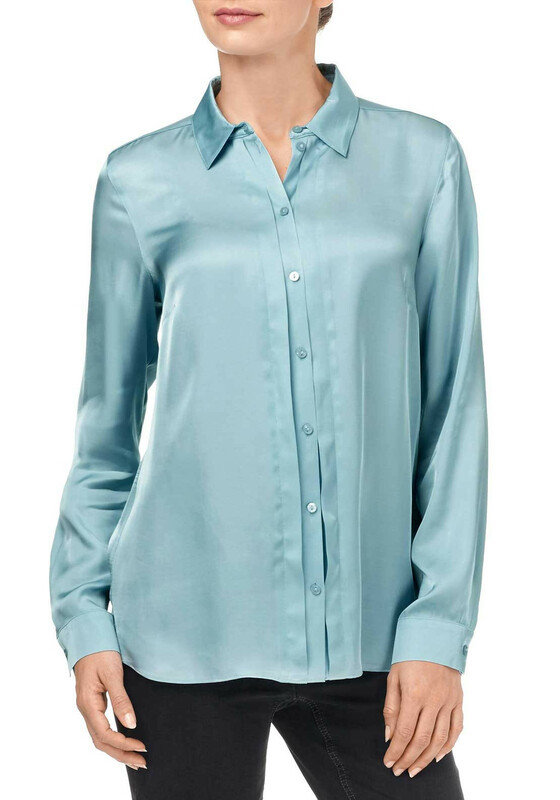 Crafted from lightweight faux silk fabric and designed by Gerry Weber with a classic straight shape. 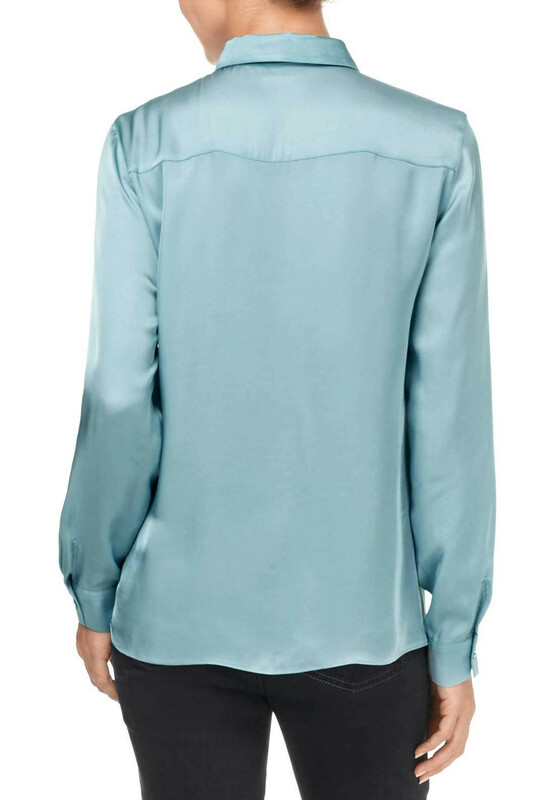 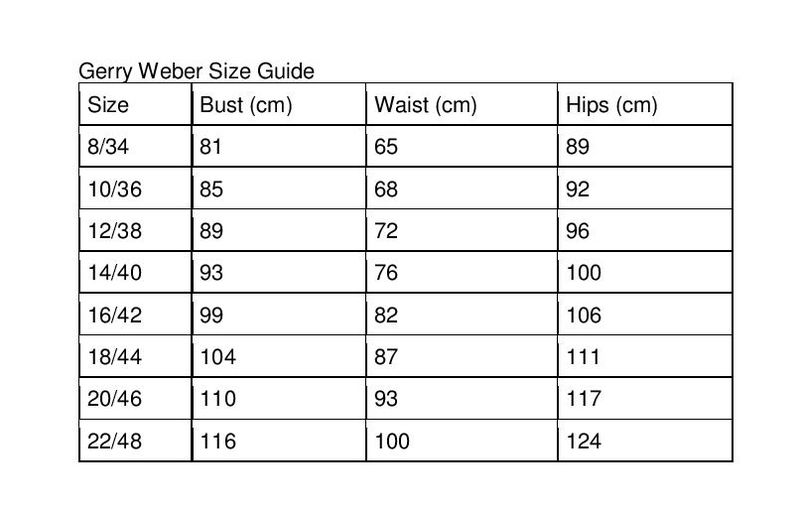 Features include a turn down collar and full button placket with pleated detail.